Even though my blog originally started as a fashion blog, I’m definitely not as interested in fashion as I once was. I’d sooner be shopping for house decor than clothes these days and pretty much live in a uniform of jeans and jumpers. That being said, I do love to dress up for a special occasion. With the festive season upon us, it’s exciting to be able to start filling my diary with events and nights out. The works Christmas do is always a good occasion to buy a new dress too! A few weeks ago I had the opportunity to be introduced to Alesha Dixon’s latest collection for Little Black Dress at the prestigious Manchester House. The perfect way to spend an afternoon and start making some much needed ‘what to wear’ plans for Christmas. In typical Manchester House style, I was greeted with a glass of prosecco on arrival and given the chance to browse through the collection before Alesha finished up a press interview. I was immediately drawn to its dark and moody colour palette, with pops of red in the rose print pieces. There’s a truly piece for every occasion within the collection, with the rose print bandeau midi dress (£179) being the showstopper. It would be perfect for winter wedding guest attire or a super swanky Christmas ball. I also loved the slinky gold knot dress (£89), with its plunging neckline and silky material. Probably better suited to someone with a more impressive cleavage than me though! lovely to meet the sassy @aleshaofficial and hear about her stunning new @teamlbd collection! Of course, when Alesha was dragged away from her interviews to meet us, it turned out she was wearing my favourite dress from the entire collection, the rose print mini tulip dress (£89). Pairing it with a pair of strappy heels and a sheer stripy choker, she looked absolutely incredible! Before I met her, I didn’t actually know too much about her, apart from seeing her occasionally on Britain’s Got Talent when there wasn’t much else on TV. She was just as sarcastic, funny and sassy as she is on BGT! There was absolutely no hint of falseness and she really struck me as an honest and down-to-earth woman. She spoke about her collection with such passion and clearly showed consideration for her customers in all stages of designing and creating the collection. Alesha is also a hugely charitable person, involved in many projects, including her work with women’s charity Refuge, who help victims of domestic abuse. For her collection, she will be ensuring £1 from every sale is donated to Refuge to help them continue their life-changing work for women and children experiencing domestic abuse in the UK. A collection with a cause that also looks stunning, a win-win really! 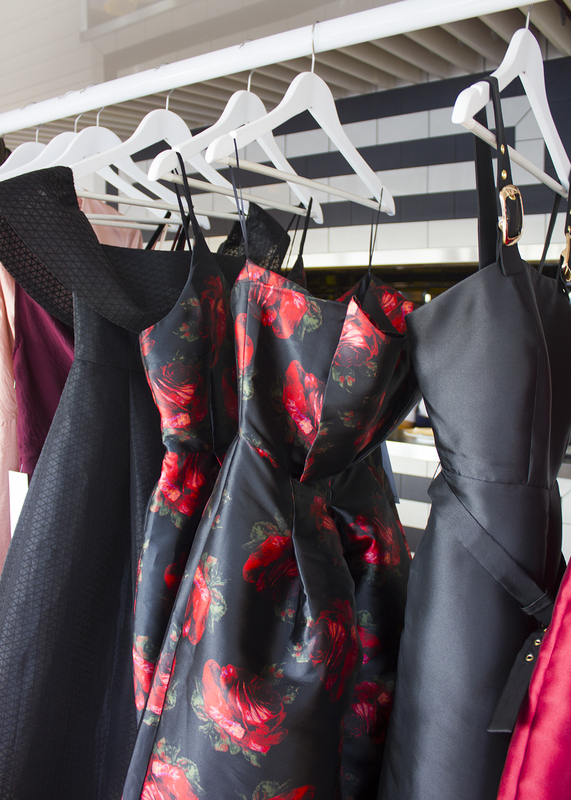 Now I just need to make my mind up on which dress to wear for my Christmas do… any ideas, gals? 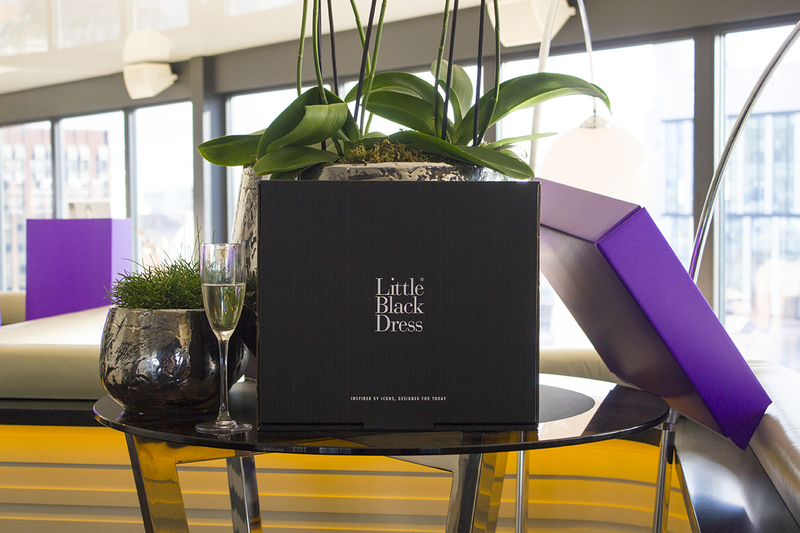 You can see the full Alesha Dixon x Little Black Dress Collection on their website here. What are your favourite pieces from the Alesha Dixon x Little Black Dress Collection?